​IVF anti-doping regulations are based on the anti-doping regulations of the International Olympic Committee (IOC), the World Anti-Doping Agency (WADA) and other internationally recognized authorities. 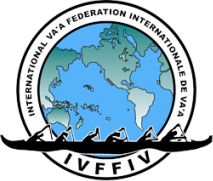 Through its Medical Committee, the IVF reviews its policy on a regular basis and, as necessary, revises policy, taking into account va’a developments in the sport and the international fight against doping generally. One of the main objectives of the IVF anti-doping rules is to achieve drug free Va'a / outrigger paddling .